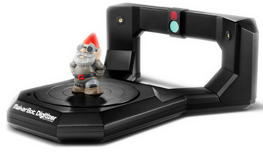 WIN A MAKERBOT 3D SCANNER, FILAMENT AND MORE! 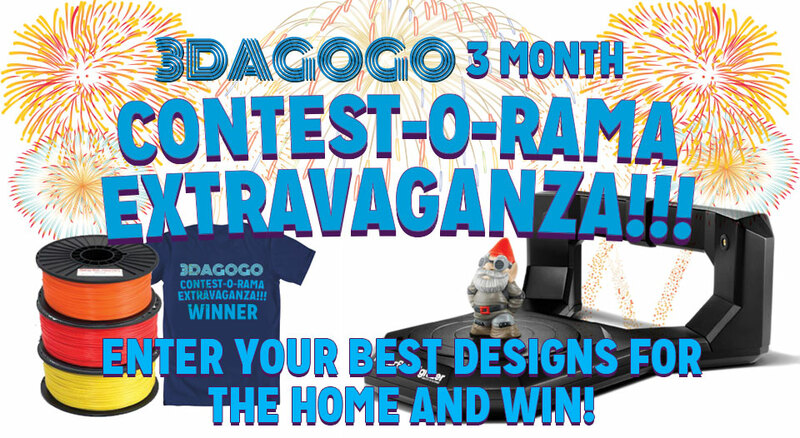 3Dagogo is running 10 amazing design contests between now and the end of December! In addition to winning an amazing 3D scanner, filament, and/or an "I'm a winner" t-shirt, winners will get fame! Yes, fame! We'll smatter the winners and their work all over our blog, FB page, Twitter, and Pinterest! We have 1 big contest (for the 3D scanner), and 9 small contests. So there are 10 chances to win! THE BIG CONTEST - THE COOLEST DESIGN FOR THE HOME WINS IT! Simply upload your coolest design between Oct 1st and Dec 31st 2013, and go here to enter your design! Examples include: Toys, vases, jewelry, home art, cups/plates, and more! 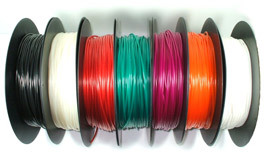 $150 WORTH OF PLASTIC FILAMENT! YOUR DESIGNS FEATURED ON 3DAGOGO. WE'LL BLOG AND PROMOTE YOU ALL OVER THE ENTIRE INTERWEB! YOU'LL BE FAMOUS! Each month we will be running three mini contests! That's 3 chances to win every month! Simply upload your amazing design and enter below. EACH TOPIC IS A CHANCE TO WIN AND YOU CAN ENTER AS MANY DESIGNS AS YOU WANT.